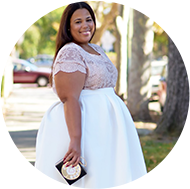 I remember that once upon a time it was rare to a plus size girl really giving you great fashion, mostly due to the lack of options. We can call it the dark ages of 14+ fashion, but honey those days are gone. 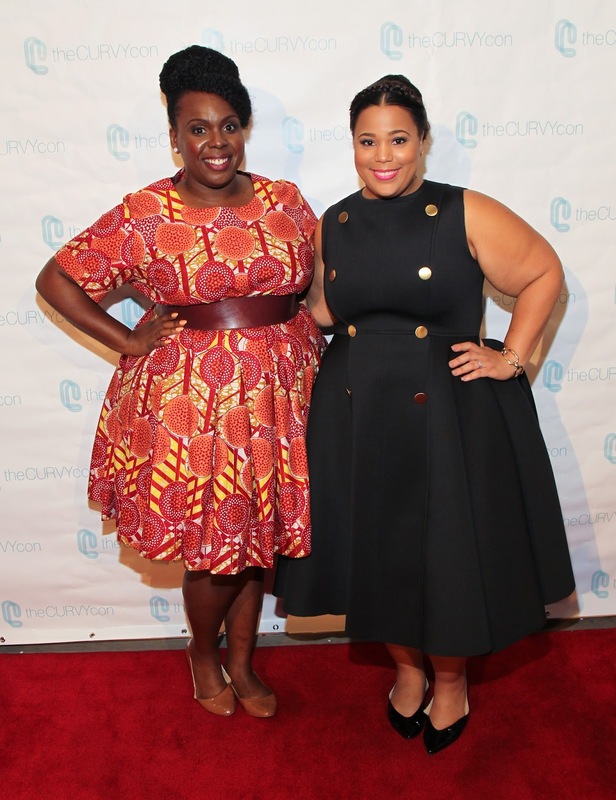 For me, that was one of the most gratifying parts of theCURVYcon...one room, plus size girls feeling and looking fabulous, and not an apologetic look on anyone's face. Werk Bish!!! I am just so proud to be apart of this moment, a moment that came alive because so many people supported us as attendees, volunteers, panelists, on social, and just by word of mouth. What an amazing & humbling thing to have people really root for you. I am so grateful. 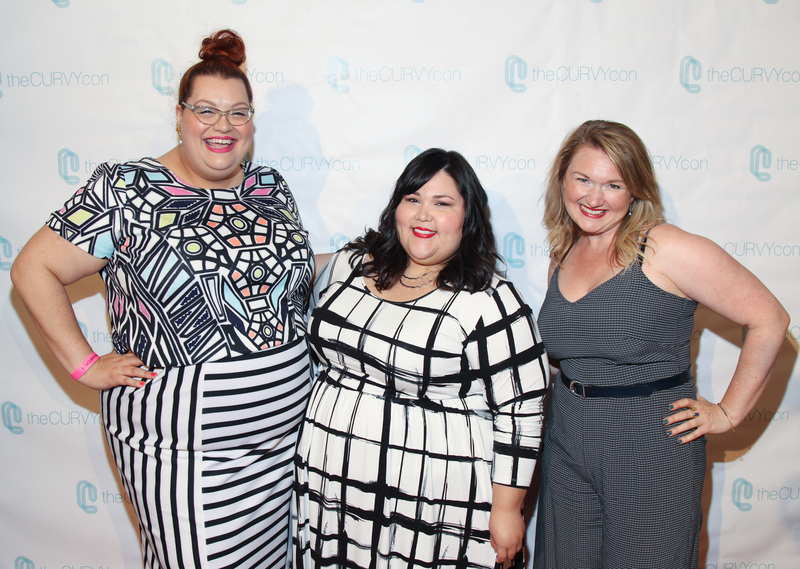 I have to admit, theCURVYcon, was probably the hardest thing I had to accomplish in my life to date. It was like planning a wedding for 500 people and took CeCe and I a year to accomplish, but we did it. 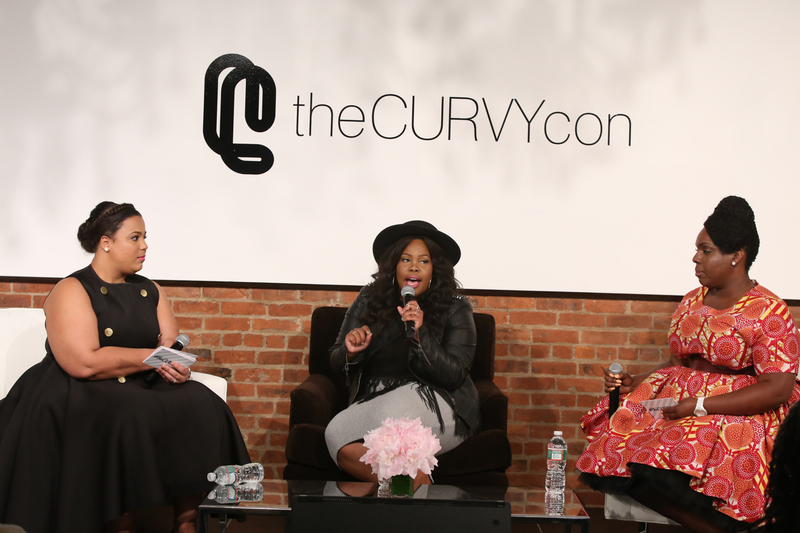 There were so many fabulous moments from Amber Riley, to an impromptu fashion show with Ashley Graham and the ALDA Models, to Nadia Aboulhosn rushing on stage for her panel while a volunteer watched her car (shout out to K.C. 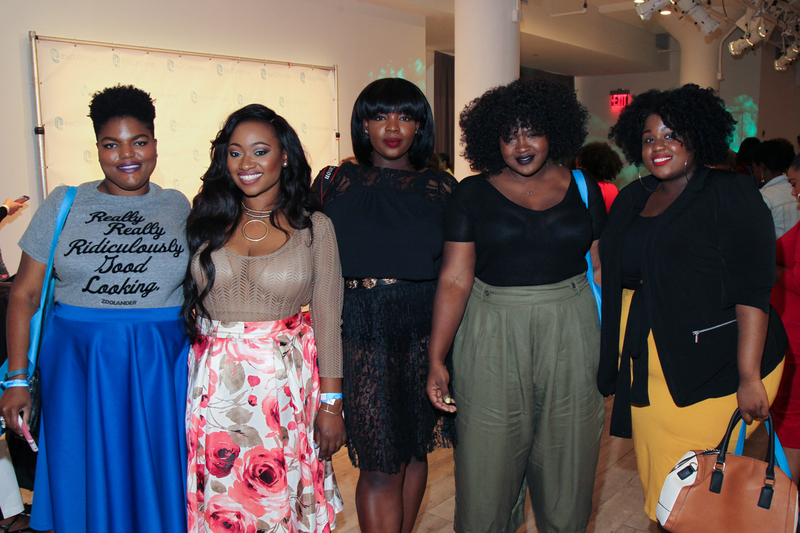 ), to sitting on a panel with Gabifresh, Ty Alexander, Kierra Sheard, Kellie B, and Rochelle from Beauticurve, women who have style that not only I love, but I have so much respect for them individually and professionally. Could this be real life? 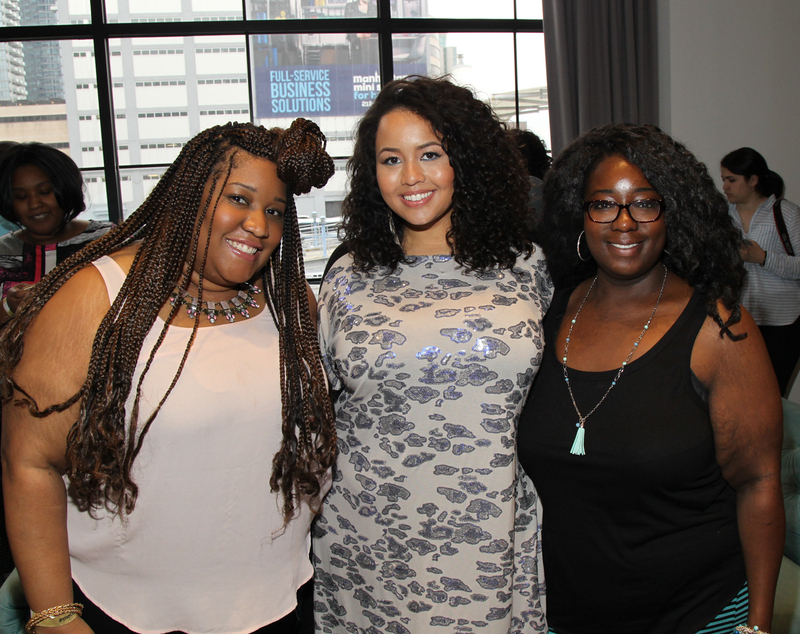 I said this at theCURVYcon, but a huge thank you to the sponsors & vendors, Monistat Chafing Gel, Fashion to Figure, Lysse, CushieB, Rebdolls, Full Beauty, Boobalicious, Dia & Co, Eleven60, HookedUp Shapewear and Nakimuli. Such an undertaking like this, especially for the vision we had, is just so expensive and without these brands, we would have not be able to have this fabulous day. They believed in us our first year, sight unseen. The volunteer were amazing, Desiree (aka Fancydime) couldn't stop boasting about you guys. Style Notes: My dress was by Nicci Hou. She is a Atlanta based designer who's career I followed since the beginning. 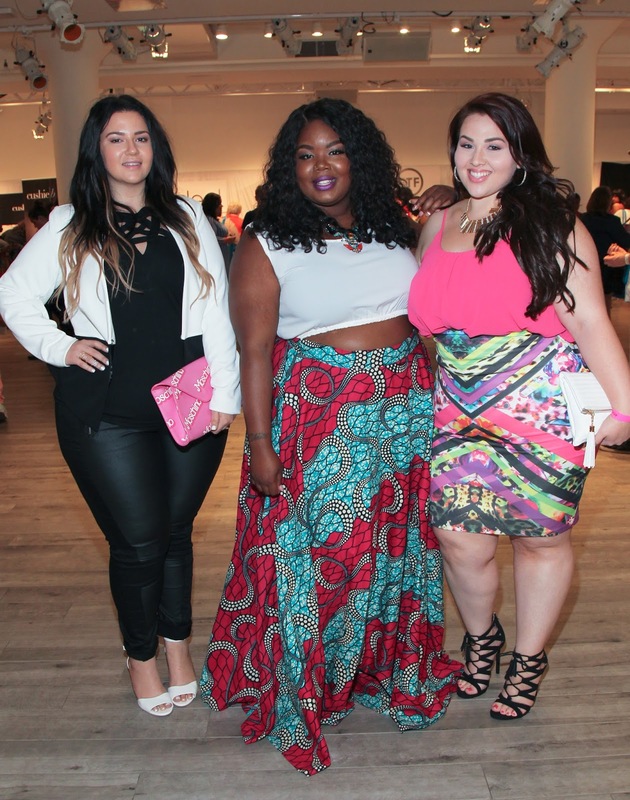 Because of the craziness of my life leading up theCURVYcon, I had no idea what I was wearing. I just didn't have time to think about it and before I knew it, the date was practically at my doorstep and I had nothing to wear. I hear a lot about people complaining about there's not enough budget based fashion, but if you are plus and want something fancy, contemporary, with the details that you can only find in the swankiest of department stores that dress almost doesn't exist. Almost. Nicci Hou totally saved me. The dress was done out of a scuba fabric with beautiful seam detail and although you can see there was a slight dip of the skirt length in the back. I don't think I've ever owned anything so luxurious. You can visit the Nicci Hou website here or email her directly for custom orders at niccihou@yahoo.com. The line is straight sized, but she will do custom projects as she did for me. My flats are from here. These go up to a size 12, which is the size I got, but were too big. I am technically an 11, but I was last minute shopping and this was all they had. But you'll want to know that the 12 is nice and roomy. 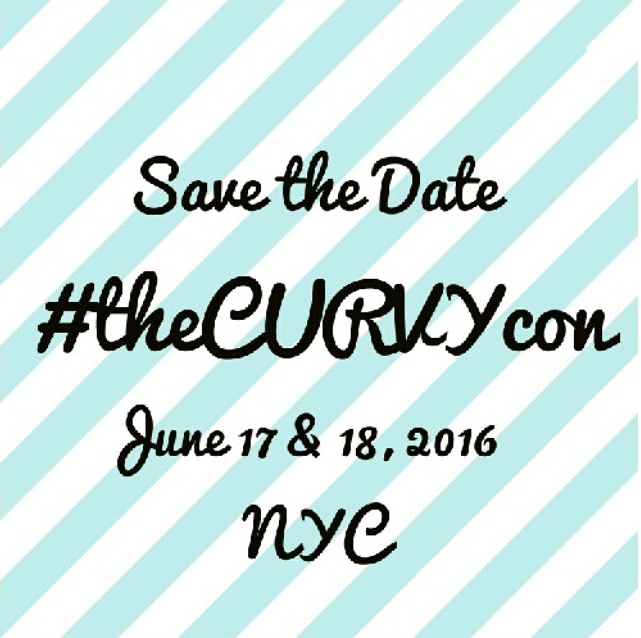 Oh and get updates for the next theCURVYcon and special discounts by signing up to be a CURVYVIP. Our fabulous attendees serving it up on a silver platter!